The President of the European Commission has asked EU countries to honour their commitments in the run-up to a general election, which could see the radical left rise to power in Greece. EURACTIV France reports. A source in the Commission told EURACTIV that any renegotiation of debt would cost the Eurozone dearly. With just days to go before the Greek elections, tensions are mounting inside the Commission. Jean-Claude Juncker, the President of the European Commission, said that the government formed after Sunday’s elections must respect the commitments already made by Athens and continue with reforms. “Europe will continue to support Greece, but it is expected that Athens will stick to the promises made to its partners,” Juncker added. The polls are still giving the radical left wing Syriza party the lead, five days before the country goes to the ballot box. Since the beginning of the campaign, the Commission has wavered between a theoretically neutral position, and the very critical stance of its President. “We have to allow the electoral process to unfold,” a top Commission source told EURACTIV, adding, “if a nation wants to deceive itself, it’s up to them”. The European Commission does not intend to wipe out Greece’s debt, and hopes the country will stay in the eurozone, but European officials are making no secret of their apprehension at the arrival of the radical left at the head of the Greek government. “We must realise that life will go on, on 26 January. With Samaras it was simple; with Tsipras we just don’t know. We will start a debate. But do not be fooled, the National Front thinks Tsipras is fantastic, sure… but the day we wipe out Greek debt, it will be the Europeans that pay the price, including France!” the top civil servant said. Marine Le Pen wrote on her blog in December that a “warm wind of democracy” was blowing through Greece, evoking the victory of the people and their representatives over the European oligarchy and big finance. Alexis Tsipras’ party wants to renegotiate the Greek public debt and reverse the austerity policies implemented under the financial aid programme. Greece’s repayment plan for the 240 billion euros it has received since the start of the crisis is scheduled to run until 2022. Our Commission source said that “any timetable renegotiations will come at a cost for the eurozone”. Sunday’s vote will be followed with great interest by Greece’s European partners and the financial markets. Greece pulled out of a painful six-year recession in 2014 and has tapped bond markets twice after a four-year exile, but investors have begun to fear a return to the days of crisis as the presidential vote looms. On 8 December, eurozone ministers decided to grant Greece a two-month extension to its bailout, rather than settle for the six-month extension to which Athens had objected. This was a boost, giving the country just enough time to wrap up a delayed bailout review before it exits the programme for good. Since last summer, polls have shown that an early election would bring the Syriza party to power. 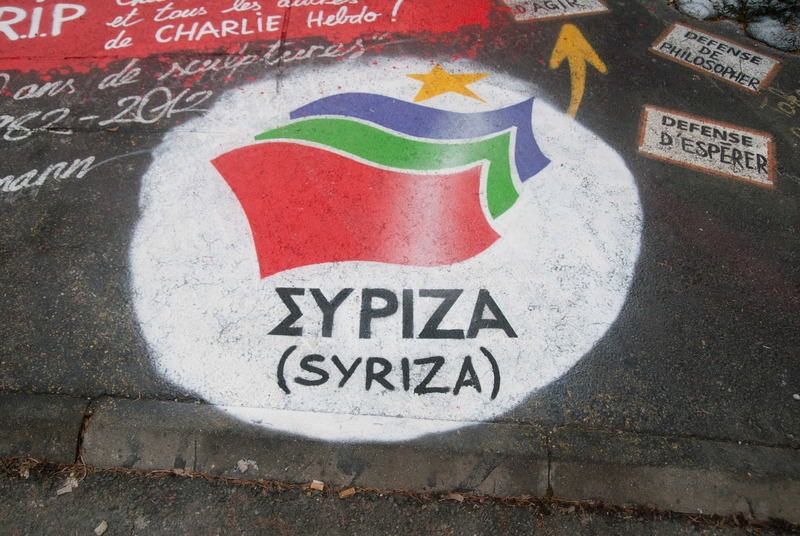 The radical left wing party was Greece's biggest winner in the 2014 European elections. This article is misleading: what happened in Greece was that much PRIVATE Greek debt was turned into PUBLIC debt i.e. government debt. The reason being that Angie & co could see German banks taking a serious haircut & we cann’t have that – can we? Anybody with half a brain could see that turning PRIVATE debt into a PUBLIC obligation – paid for by ordinary people in Greece – was wrong. When it looks like somebody will get into power in Greece who sees this & proposes to do something about it…. he … is … labelled… left-wing. Really? left-wing? Whilst the year 1984 is behind us, it is interesting to see that the precepts contained in the book of the same name are alive & well – i.e. Newspeak – we need to recover our language from those that would distort it (such as the EU institutions) – a good place to start would be if staff at Euractiv did not parrot the EU “party line” and were somewhat more critical. Of course the EU Commission and Council have also been deceiving themselves.